I tend to eat a lot of lettuce burgers of all shapes and sized with all different flavor profiles. However this is probably the one I make the most often. The Old Bay seasoning is just perfect and bring outs a terrific flavor combined with the red peppers and onion. This recipe would also work great with ground chicken. 1. Using your hands, combine all the ingredients until just mixed. 2. 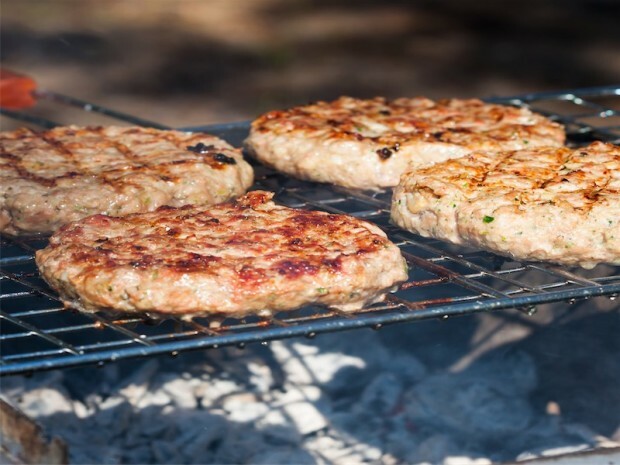 Cook burgers in a non-stick skillet for about 7 minutes on each side until completely cooked through.